This is a dehumidifier, just one of many pieces of equipment used to dry water damage! Sometimes our technicians are asked how they can know when materials are fully dry—that’s where a moisture meter comes in handy. 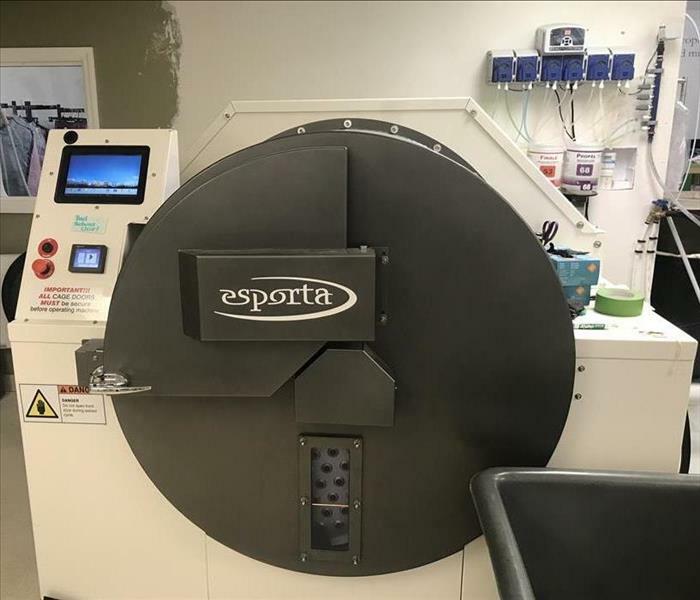 This handheld device detects the relative humidity of material, so our technicians know how wet something is before, during, and after the drying process. Upon initial inspection, our technicians will measure and record moisture levels; this will give them a basis to work with for the rest of the drying process. As the drying continues, they will measure the materials until they reach the target goal. One of the most critical tools in the drying process is the air mover. Although it’s often referred to as a fan by customers, it’s in a class of its own. Unlike your traditional fan, it pushes air at extremely high velocities and keeps the air in concentrated columns. With these refined characteristics, air movers are very effective at speeding up the evaporation process by increasing the number of water molecules that enter the air. Dehumidifiers are air movers’ best friends. As air movers speed up the evaporation process, the rooms become humid. To counter this, dehumidifiers pull moisture from the air, convert it back into water, and drain the water into a designated container. Together, both air movers and dehumidifiers can lower the moisture levels of affected materials. After a decade of experience, we have the equipment and the experience to mitigate any water damage. If your property has water damage and you need help, be sure to call our team at SERVPRO of Burke County! One of our crew chiefs extracts water from a commercial building that had a sump pump failure. One of the most stressful moments in a business’ life is the moment it suffers from some kind of disaster. Not only does it put a strain on resources and operations, but it can also potentially force the business to close its doors. Because many businesses fail after a disaster, it’s important to identify the most common types of damage and be aware of how to prevent them. Water damage tends to be one of the most common types of disasters a business can face. Still, it can be quite destructive. For one, it can lead to mold growth if it’s not immediately addressed, but it can also ruin equipment, documents, and more. Of course, depending on the severity and nature of the property, it can even temporarily halt operations. 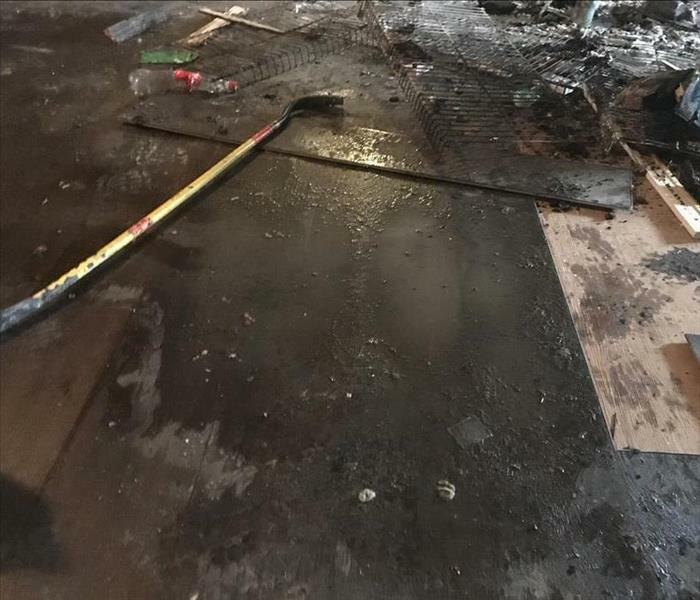 While commercial fires aren’t nearly as common as water damage incidents, they can be just as destructive, if not more. For example, you’ll have burnt contents, smoke damage, and most likely water damage. These damages can be expensive and time-consuming to clean up, which are two things a business prefers to avoid. While mold isn’t necessarily going to destroy your property, they can negatively impact productivity levels, cause long-term structural damage, and stir up some health issues. Because insurance coverage is generally minimal when it comes to mold, it’s best to treat or prevent it before it becomes a major issue. No matter the type or the extent of the damage, you should be able to rely on your local disaster restoration company to get you back on your feet. 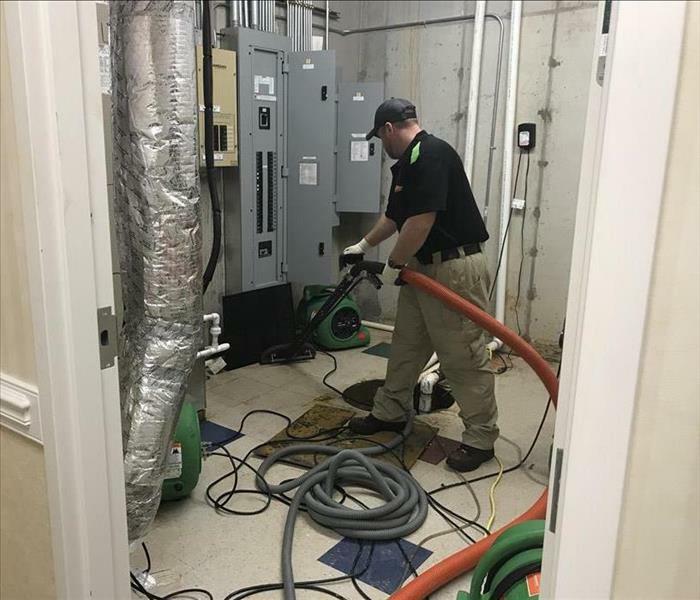 Fortunately, SERVPRO of Burke County has well over 50 employees, hundreds of equipment units, and years of experience restoring commercial properties. So if you have damage at your business or other commercial property, call us today! Above, water damaged the interior of a home that had a fire in the kitchen area. Water and fire damage go hand-in-hand! House fires aren’t an uncommon occurrence in the Lenoir and Taylorsville areas; in fact, we usually get at least one or two fire-related calls a week. But in most instances, we first have to send out our water technicians before we send our fire-cleaning team. As everyone knows, one of the most common ways to extinguish a fire is to douse it with water. (Be aware that water won’t put out every kind of fire.) And of course, the amount of water needed is proportional to the size of the fire, so a large fire is going to need a lot of water. That’s why house fires tend to have significant water damage—firefighters have to use a lot of water to put them out. In commercial fires, water damage can also occur when even a small fire triggers the sprinkler system. As a result, affected homes have two types of damages that need to be addressed. When we respond to a home that has both fire and water damage, we first dispatch our water mitigation team. Because unmitigated water damage can lead to mold and additional structural damage, it’s imperative that it becomes a priority. After that’s been addressed, we’ll follow up with our fire damage cleanup team. Unfortunately, disaster strikes when and where we least expect it. And in many cases, damages can be extensive, requiring multiple phases in the restoration process. While it’s not possible to prevent every disaster, it’s a good idea to plan and prepare for worst case scenarios. We recommend you put together contingency plans and talk with your local insurance to make sure you’re properly covered. We had a class full of eager insurance professionals ready to learn from our certified instructor! On February 19, we hosted another great Continuing Education (CE) class for our local insurance agents. We had a full class of over 50 attendees, offered brand-new courses, and provided a delicious lunch. It was arguably one of our best classes! Every quarter, we host these classes so our local insurance professionals can maintain their licenses and remain current on best practices. We bring in a licensed and experienced instructor to create and teach the courses. At this event, we offered two courses: Introduction to Workers Compensation and Employers Liability and Errors and Omissions Risk Management. We also held drawings during each break period and gave away several prizes. 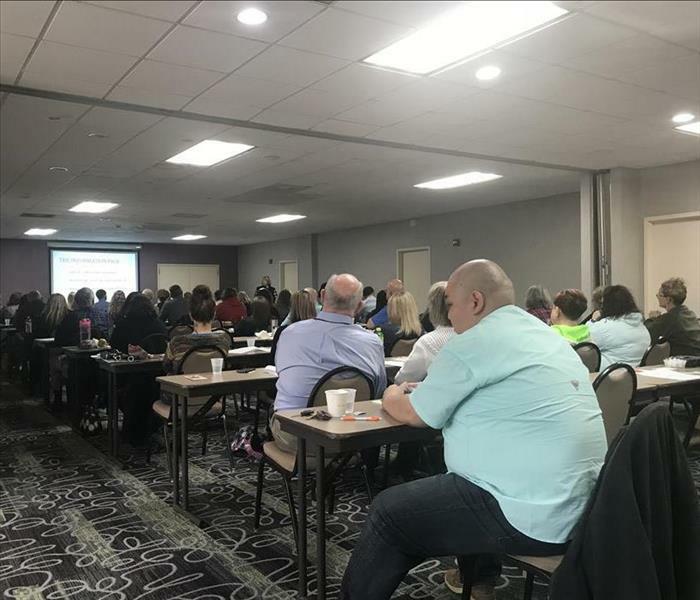 If you are an insurance professional in need of CE credits, join our email list to get updates on our upcoming classes: http://eepurl.com/dgbNDz. This is just one of the many ways we give back to our community! 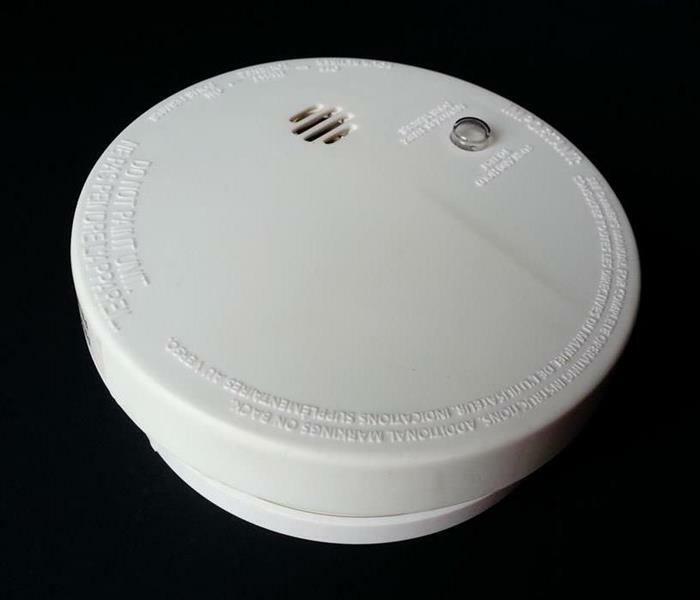 Smoke alarms are an essential tool for fire safety, but they sometimes need attention. Every home should have a smoke alarm. Not only do the alarms provide you with an early warning to a potential disaster, but they also help save lives. Yet sometimes, these devices will beep for what seems like no reason, often being disruptive or just downright annoying. What causes them to beep? There are multiple possibilities. The batteries are dying. When a smoke detector’s battery is low, it will chirp at a regular interval to let you know it needs to be changed. Once you replace the battery, the beeping should stop! It needs a hard reset. If you’ve replaced the battery, and the alarm continues to beep, it’s possible the system simply needs to be reset. Here’s a guide to resetting a smoke alarm. Your alarm’s at the end of its life. Believe it or not, smoke alarms do not last forever. Most detectors last about 10 years, which is the recommended time to replace them. If you haven’t replaced it by then, the beeping might just be the reminder you needed. Smoke alarms are an incredibly important tool when it comes to fire safety. But if your alarm continues to beep, you should address the issue so it works properly during an emergency. If you have any questions or concerns, you can always consult your local fire department. How Often Should You Clean Your Business’ Duct System? A professional duct cleaning can improve your HVAC system's efficiency! Our company provides professional duct cleanings in addition to our core disaster restoration services. Over the years, we have cleaned countless HVAC systems in both homes and businesses. During this time, we’ve been asked many questions about our service, but one in particular is asked quite frequently: how often should you clean your duct system? Depending on who you ask, there are several different answers to the above question. As members of the National Air Duct Cleaners Association (NADCA), we tend to side with the association’s official recommendation: every 3 to 5 years. Over time, air ducts tend to get a buildup of dirt, dust, and other particles. This buildup can cause your system to become less efficient and recirculate particles throughout your business, which can lower employee productivity. We recommend every 3 to 5 years because this process is gradual. However, some circumstances might warrant that you have your HVAC system cleaned even sooner than our recommendation. For example, if a fire were to break out, soot particles are likely to build up in the ducts, which can cause a lingering odor and slow production. Also, mold growth in or around the duct system can cause spores to recirculate and cause some health effects in employees. In either of those situations, a duct cleaning would likely be warranted. A professional duct cleaning every 3 to 5 years can help your business’ HVAC maintain its efficiency and prevent potential productivity issues. If you need your duct system cleaned, our certified professionals are available! We have an on-site textiles cleaning facility to restore a home's contents after it has a disaster! This year marks our 10th anniversary. When we first opened our doors in 2009, we offered the most basic services a SERVPRO franchise can offer—fire and water damage cleanup and restoration. While those services are the cornerstone of our business, we’ve had the ability to expand our operations and allow the addition of other disaster restoration services. Textiles Cleaning. A homeowner’s possessions can be damaged by soot, mold, or contaminated water. While many of these issues can be difficult or near-impossible to restore at home, we have an on-site, state-of-the-art textiles cleaning facility. We are able to restore most damaged materials; we can even remove odors! Duct Cleaning. The National Air Duct Cleaners Association recommends that you clean your HVAC system every 3 to 5 years. 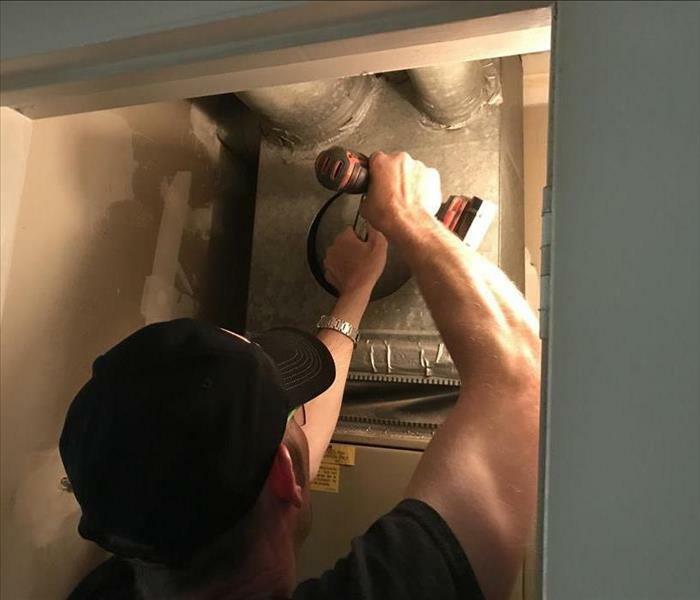 Not only does a duct cleaning improve air quality, but it can also remove allergens and other contaminants and improve your system’s efficiency. Our professionals use cutting-edge vacuum technology and other tools to truly clean your ducts! Odor Removal. Some smells can be a nuisance or just plain overwhelming. Fortunately, we have the equipment and the expertise to eliminate nearly any odor! No matter how strong the odor is, we’re able to help. After 10 years, we’ve been fortunate enough to expand our services to help customers recover from most damages. If your home or business has damage, call SERVPRO of Burke County today! Kitchen fires are one of the leading cause of home fires each year. If you use the kitchen, never leave it unsupervised! Fires cause a lot of property damage every single day, which can be an expensive process to clean up and restore. Fortunately, many fires can be prevented if some precautions are taken. Below are some simple tips you can follow to prevent potential fire damage! Never leave a kitchen unattended while in use. 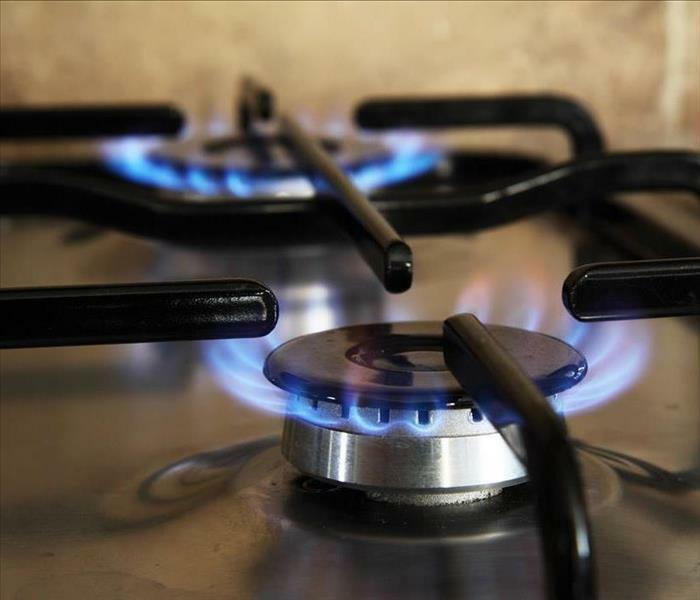 Cooking fires are the leading cause of home fires each year, according to the National Fire Protection Association. While there are a few factors for this statistic, one of the main reasons they occur is because kitchens are left unattended for periods of time. That’s why it is strongly recommended that you stay in your kitchen at all times, even if you think everything is under control! Keep flammable materials away from heat sources. This might seem obvious, but quite frequently, flammable objects will catch fire because they are left close to heat sources. This can include space heaters, candles, fireplaces, and many other sources. It’s best to leave them at least a few feet apart! Replace all frayed wires. Wires tend to fray over time, especially if they are not protected properly. When this protective coating is torn, the hot electrical currents run a risk of catching nearby flammable materials on fire. If you notice any frayed wires, have them replaced immediately! As we’ve discussed, some easy precautions can prevent devastating fires from occurring. But if you do have a fire in your home or commercial property, don’t worry! You can call SERVPRO of Burke County—your local fire cleanup and restoration company—today at (828) 874-0966! A power outage can be a major nuisance, but there are some things you can do beforehand to mitigate the effects. We recently had a snow storm unlike one we’ve seen in at least a couple of decades. In addition to over a foot of snow, we also had sleet and rain—a combination which caused power outages throughout Burke County and the surrounding communities. Storms often cause power outages, but many people are unprepared. If a storm is expected to hit through the area again, here are a few ways you can prepare for a potential power outage. Purchase flashlights or candles. Once it turns dark, you’re going to need a light source. While your phone works, it’s better to have a dedicated flashlight so you don’t drain your phone’s battery. A candle also works, but it poses a potential fire hazard if it is not handled appropriately. Stock up on non-perishable food. If you don’t have power, you likely don’t have a way to store or heat cold food. That’s why it’s important to have food items that can both be eaten and stored without power. Get a power bank for your phone. For many people, your phone is an essential communication tool. It’s even more important when you don’t have power—it’s likely you still have service so you can connect with emergency services and get updates. But over time, their batteries will drain, so it’s a good idea to get a power bank so you can recharge your phone! 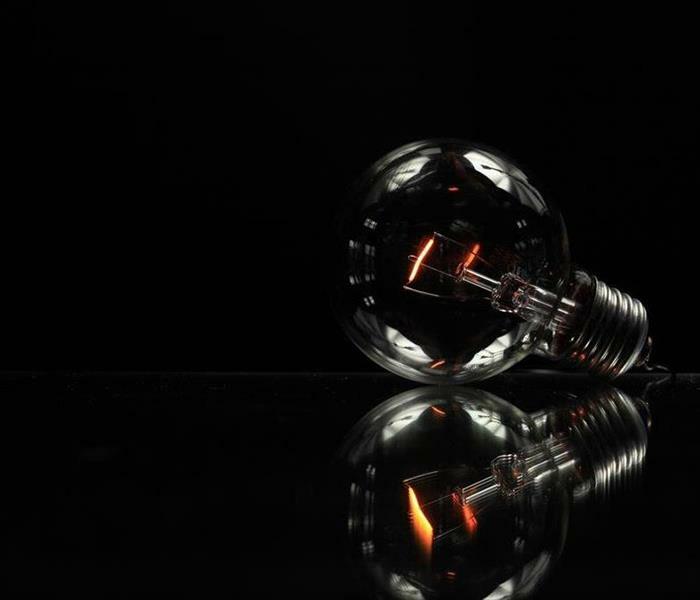 Power outages can be a nuisance, but with a little bit of preparation, you can pass the time and get through the situation. If your home sustains damage, though, SERVPRO of Burke County is here to help! You can call us at (828) 874-0966! This is our original office from 10 years ago! We've grown a lot since then, and we will continue to do so! 2018 is coming to a close, and now we’re looking ahead to 2019, which marks our 10th year anniversary. In this last year, we’ve had a lot of growth, but we’ve also had several challenges. We’d like to take a moment and reflect on the highlights that shaped 2018 for us here at SERVPRO of Burke County. Since 2009, we’ve grown from a trio to a large team of over 50 employees. That’s why this year, we decided to host our first, company-wide team building event. We took part of the day off to travel to Blowing Rock where we did team-building activities at a ropes course. It was a great opportunity to bring employees together, especially since we have gotten so large! 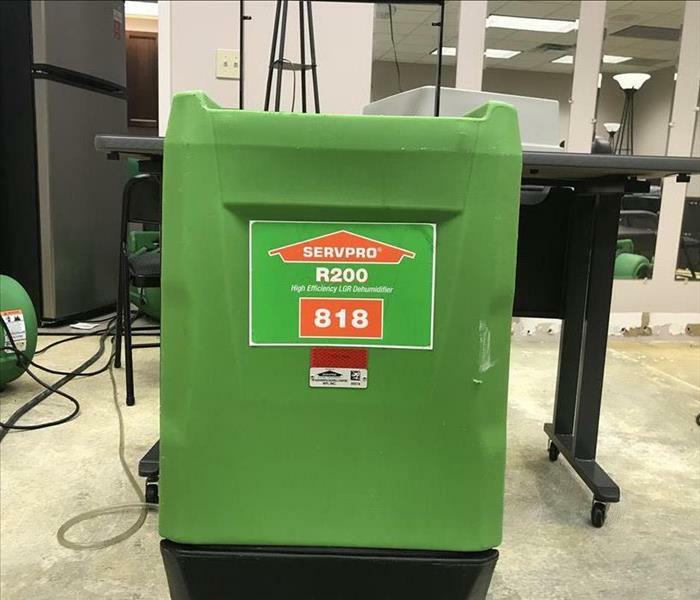 Many of us at SERVPRO of Burke County have ties to Wilmington, so it was only natural that we deployed there after the catastrophic damage from Hurricane Florence. We had crews there for nearly a month, initially working in unfavorable conditions. But as a result, we were able to restore a church and some of its affiliated school buildings! As next year approaches, we’re looking at the obstacles we’ve overcome and where we hope to go next. We’re proud of our growth over the last 9 years, and we’re excited to see as we enter our 10th. We’re humbled to be able to serve this community, and we hope to continue doing so for many years to come. 2/15/2019 - Why Does My Smoke Alarm Beep? 2/6/2019 - How Often Should You Clean Your Business’ Duct System?